They Wrote About The Massacre - THE MASSACRE AT LE PARADIS - HELL IN PARADISE - MAY, 1940. On this page we feature some of the men and women who have written about the massacre at Le Paradis. Richard Lane's book "Last Stand at Le Paradis - The Events Leading to the SS Massacre of the Norfolks 1940" is a primary source for historians and an important publication for those wanting to understand just what took place in that remote French village in May 1940. "When I was clearing out our house in Norwich to move to a new home in 2010, I found Richard's school reports when he was aged seven or eight. His spelling and handwriting were both rated 'atrocious' but he was a wordsmith and loved writing, history and the English language. His father was an amateur archaeologist and Richard used to accompany him on some digs. Richard had an inquiring mind, always wanting to know what happened, why it happened and how it happened. We used to go into churches because of their history rather than for religious reasons. He was born to write and was also an excellent storyteller," Debbi said. Debbi and Richard met at a party through mutual friends and subsequently the Beehive Public House in Norwich became their meeting place. "Richard was going through a difficult divorce at the time and, as I had also been married before, his friends thought I could help him through a tough time," Debbi said. Debbi and Richard married on October 8th, 1977, a day after Richard's 30th birthday. Debbi was 26. They enjoyed a wonderful marriage of almost 31 years. "Every Sunday when he wasn't working he would take me round Norwich, telling me the history of the place and he was always writing articles for local magazines and publications," Debbi added. In 1976 Richard was commissioned to write a history of "Snap the Norwich Dragon." At this time he was also writing fantasy stories for children but none of these were published. After writing a history of Sarah Lloyd from Bury St Edmunds which also failed to find a publisher, Richard decided to turn his attention to his native Norwich and to tell the history of the city through its plains. "Plains of Norwich" by Richard Lane was published by the Larks Press in 1999, after which the same publishers commissioned Richard to write a book on the life of Norfolk's Anna Gurney. The result was the publication of "Anna Gurney: Scholar and Philanthropist" as part of a series of pocket guides to well known people of Norfolk. This came out around 2002. ​Writing by necessity continued to be a part-time hobby for Richard. Initially he worked in advertising before joining his family newsagents in Colman Road, Norwich, firstly helping his parents and then taking on the main role when they retired in 1986. Richard retired in 1991 and was then able to dedicate himself to writing. From 2002-2007, he was assistant groundsman at the home of Norfolk cricket at Horsford. He also undertook occasional work refurbishing cricket grounds, tennis courts, bowls greens and other sports areas in the closed season. Richard had always been interested in military history and aware of the massacre at Le Paradis: "Writing something on Le Paradis was always in the back of his mind. 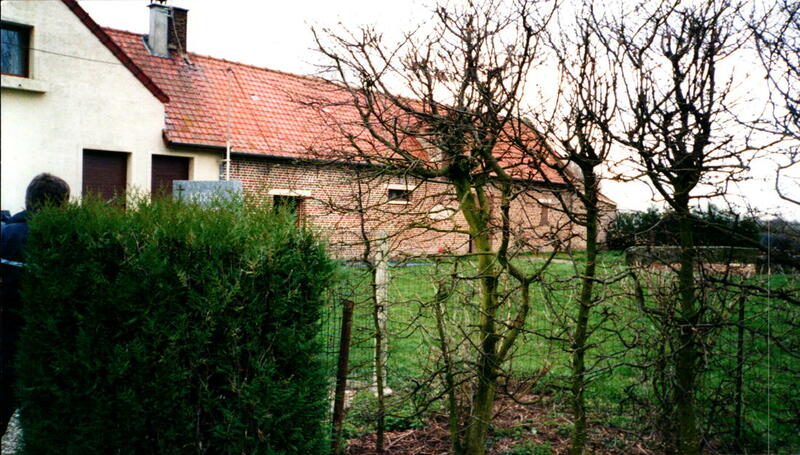 We started going on battlefield tours in 2002 and in 2004 we went on a "Fortress Europe" tour which included Le Paradis. Richard was quite emotional in the cemetery at Le Paradis. He felt an affinity with those who died and he referred to them as his boys," Debbi added. ​Richard's determination to tell the story of those massacred was also fueled by anger that, whilst the massacre of the Warwickshire regiment at Wormhoudt was well known, little was known of the massacre of the Royal Norfolks at Le Paradis. "The story has to be told," were Richard's words to Debbi. Thus started Richard's journey which involved researching the history of the Royal Norfolk Regiment and the background to the Second World War and spending hundreds of hours going through documents at the Norfolk Regimental Museum in Norwich and the Imperial War Museum. "Richard spent days and days listening to tape recordings and going through information. He realised this was a huge story," Debbi said. It took Richard well over three years to research and write "Last Stand at Le Paradis." Pen and Sword books became interested in the project and agreed to publish the book. Sadly Richard wouldn't live to see its publication, although he knew the first draft had arrived, dying from sepsis following cancer treatment on August 25th, 2008. Debbi was left to grieve, but also to forge ahead with the book as a memorial to her husband. "I sincerely hope that the finished book, which took Richard four years to complete, will be a fitting tribute to my husband's memory." We hope that the work of the Le Paradis Commemoration Group on this web site will also stand as a memorial to a man who loved writing, loved history, loved Norwich and Norfolk and who was determined to ensure the memory of those massacred at Le Paradis would live on. ​The photograph at the top of this article and below are from Richard's own collection and are used with the permission of Debbi Lane. Images above and right were taken by Richard Lane during one of his trips to Le Paradis. Pictures copyright Debbi Lane and used with her permission. IN the April 4th, 2009, edition of the Eastern Daily Press newspaper reporter Steve Snelling wrote about Richard Lane's passion for obtaining details of the massacre which culminated in the publication of his excellent book "Last Stand at Le Paradis" - extracts of which are used throughout this web site with the permission of Richard's widow Debbi. The ghosts of war cast a haunting shadow over the scattered hamlets that freckle the Pas de Calais and the roads leading to Dunkirk. This is hallowed ground, drenched with the blood of men whose myriad last stands helped save an army from irredeemable defeat almost 70 years ago, and is now marked by a rash of cemeteries that bear mute testimony to the horrors of those desperate days. Everywhere you turn, signs point to a baleful past, of hopeless battles fought and lost, of lives cut tragically short. And nowhere is that sacrifice more poignantly or powerfully felt than in the small Commonwealth War Graves Commission plot tucked behind the church of Le Paradis, some 35 miles south of the broad beaches where an armada of ‘little boats’ rescued more than 300,000 men from the clutches of a triumphant German army. It was to this place, with its 150 graves including many men from the Royal Norfolk Regiment who were victims not of battle but of one of the Second World War’s most notorious massacres, that Richard and Debbi Lane came in 2004. 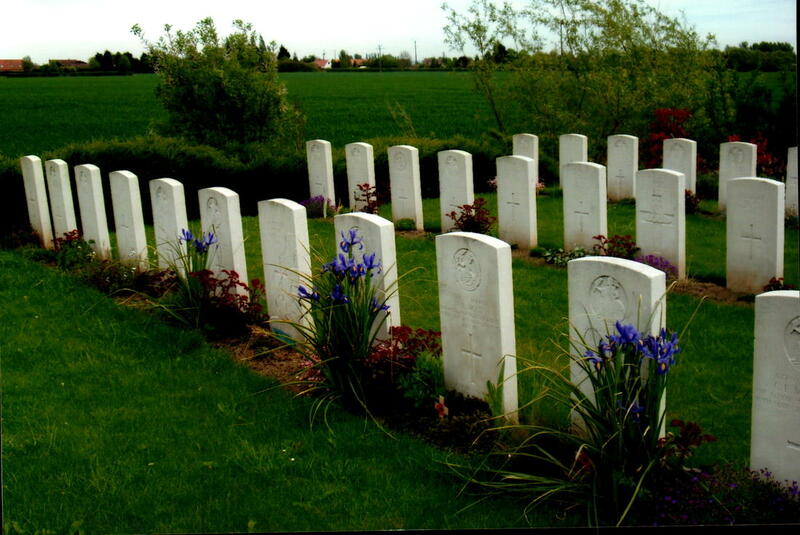 Inveterate battlefield tourists, they had visited cemeteries spanning two world wars stretching from Flanders to Normandy and The Somme, but none had touched them more profoundly than that trip to Le Paradis. That decision singled the beginning of an extraordinary personal odyssey, a self-ordained mission of remembrance that has, in a remarkable twist of fate, become his own memorial. The story behind two strangely connected tragedies unfolds one evening at the Norwich House where Richard Lane had devoted the better part of four years to drafting and re-drafting the book he would not live to see published. The house resounds with echoes of a martial past. In the entrance hall, a wall serves as a shrine to more than a century of soldiering spanning three generations of Debbi’s family. “We once worked out that if you added Richard and my immediate families together 21 relatives served in the First World War alone,” she says. It’s a record she plainly proud of just as she is of her cricket-loving husband’s late burgeoning career as a local historian of note. Since selling up the family’s newsagents’ business, he’d embarked on a new career as a writer and researcher. A history of the Plains of Norwich and biography of Anna Gurney were the products of an enquiring enthusiasm for the past that both of them shared. In time that passion was extended to their joint fascination in the first and Second World War battlefields where so many of their forbears had fought. 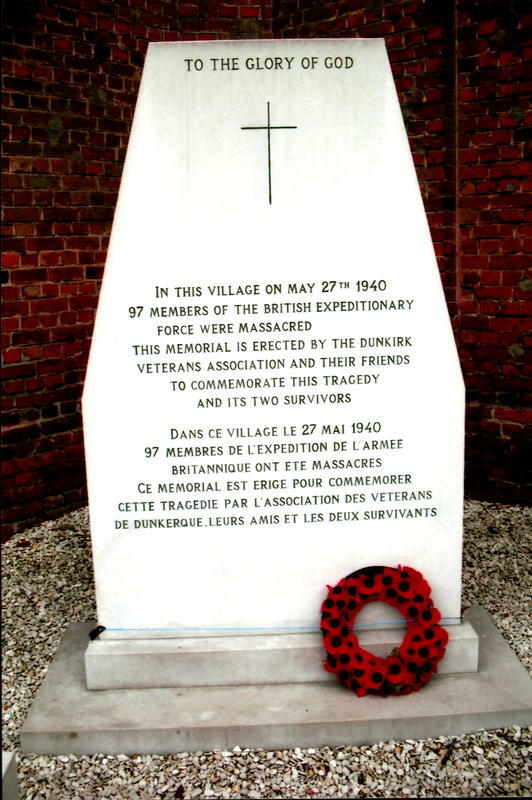 It was a journey of historical discovery that would lead to the unprepossessing village of Le Paradis and what Richard has described as the” darker memory” of war- the pre-meditated murder of 97 British prisoners of war, most of them Royal Norfolks, by their SS Captors. Four years of hard graft and countless drafts lay ahead as Richard rolled back the decades to unravel the full story of a courageous rear-guard action worthy of a far better end than the men of the 2nd Royal Norfolks faced in May 1940. In Last Stand at Le Paradis, he compellingly and comprehensively charts the fortunes and misfortunes that befell the battalion during the first nine months of the Second Worlds War, culminating in its heroic attempt to delay the Nazi juggernaut as it smashed its way through Belgium and France. From early skirmishes in the snow- shrouded Maginot Line to the fighting retreat across Belgium and Northern France, he deploys a small army of eyewitnesses to vividly recall the draining and depleting attempts to shore up a steadily disintegrating defence. By the fourth week of May, and barely a fortnight after the Wehrmacht had launched its blitzkrieg offensive, the exhausted 2nd Royal Norfolks had been reduced to half its strength and was faced with its sternest test: to resist to the last bullet and the last ounce of strength the enemy’s efforts to crush the shrinking Dunkirk bridgehead and thus destroy all hopes of a successful evacuation. In Richard’s estimation, it amounted to a ”mission impossible”, yet resulted in a “monumental effort” that succeeded against all the odds in securing a vital breathing space for the so-called Miracle of Dunkirk to be carried out. Thinly spread across two miles of French countryside freckled with farms and broken by a network of ditches and dykes the remnants of the battalion fought a brave, confused series of actions against a numerically superior enemy supported by tanks, surrendering ground only when forced to do so. The intensity of the fighting and the determination to stand fast was perhaps best summed up by an order issued by the Royal Norfolk’s acting CO, Major Lisle Ryder to one of his officers to hold his threatened position at all costs – to the last man and the last round” with the added instruction to “keep them back with your pistol if necessary”. 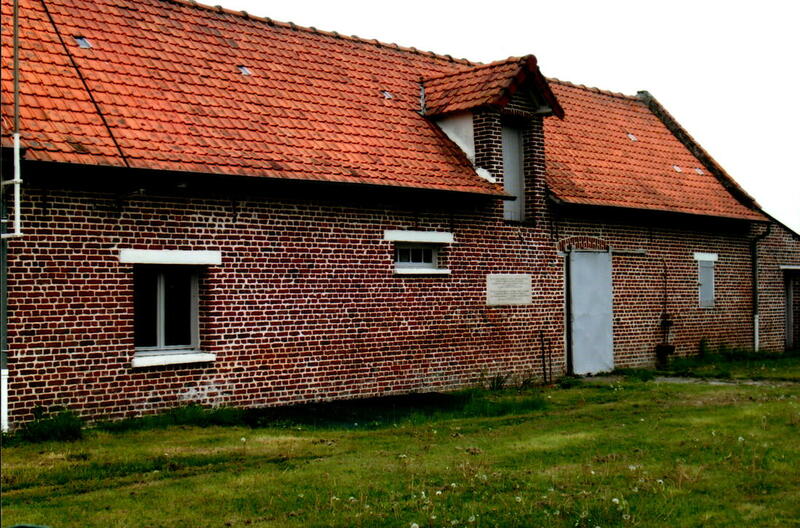 The climax of that doomed struggle came around the Duriez Farm, near the village of Le Cornet Malo. Converted into a strongpoint, its wall cut with loophole and straw bales serving as makeshift sandbags, it was defended by a makeshift force largely consisting of the battalion’s headquarters’ company. For hours they held out until, as Richard’s account makes clear, they were cut-off and forced to surrender to a company of the SS Totenkopf (Death’s Head) Division commanded by Captain Fritz Knoechlein. What followed next on May 27, 1940, was, according to Richard, a wretched example “of what happens when the rules, those by which nations seek to civilise the ugly brutality of war, are ignored”. Stripped of their equipment and herded together, nearly 100 grimy captives were beaten with rifle butts and marched to a meadow of a neighbouring farm owned by Louis Creton. Turning off a dusty road, the dejected and dishevelled column reached a long red- brick barn to be confronted by two machine-guns. In that moment, the grim realisation of their fate sank in. One of the prisoners, Albert Pooley, called it “one of the nastiest feelings I’ve ever had in my life”. In the bloody mayhem that followed 97 out of the 99 unarmed captives died, but two men, Pooley and Norfolk-born Bill O’Callaghan lived to tell the gruesome tale that would eventually send Knoechlein to the gallows. The story of the prolonged fight for justice, as seen from both the British and German perspective, is explored in forensic detail in Richard’s gripping narrative history. Yet, while the trial; that condemned Knoechlein marked the conclusion to one tragedy, another one was about to begin for with contract for the book signed and work under way on the final draft, Richard received the bombshell news that he had been diagnosed with cancer of the bladder. The first signs of trouble, blood in his urine, had occurred some eight weeks earlier, but initial checks were unclear as to the seriousness of the problem. Amid the uncertainty, Richard focused whole heartedly on Le Paradis and the fulfilment of his mission. While in hospital, the proof of the book arrived for checking. “’Great he said’,” recalls Debbi, “’ we can check them when we get home’.”. What had begun as a tribute to the sacrifice of a group of Royal Norfolk soldiers had become a tribute also to the courageous dedication of one man and to his wife’s determination to ensure his efforts were not in vain. As for the future, Debbi is planning to revisit some of the battlefields she toured with Richard. “I’m going with my sister,” she says quietly, “so that I can lay my ghosts, and then after that I’ll carry on going on my own with fellow enthusiasts. A Norfolk man through and through, Cyril Jolly, who was born in 1910, penned the excellent book "The Vengeance of Private Pooley" which is a first-hand account of the massacre, its aftermath and the fight to bring the perpetrators of the crime to justice. Cyril's book reads like an historical novel and was written following hundreds of hours of interviews with both survivors of the massacre - Bill O'Callaghan and Bert Pooley. The interviews took place over a considerable period of time at Bill's home in Dereham. Cyril is photographed on the left above with both Bert (centre) and Bill (right). Dennis O'Callaghan remembers those visits when Bill, Bert and Cyril would talk long into the night as the author built up a full picture of the lead up to the massacre, the massacre itself and the experiences of the two survivors both during the remainder of the war and after it had finished. ​Cyril Jolly served in France with the RAF from October 1939, until evacuated on 17th June, 1940. He later served at HQ Fighter Command as a personal clerk to Air Chief Marshal Sir Sholto Douglas, Air Chief Marshal Sir Trafford Leigh-Mallory and Air Marshal Sir Roderick Hill. He wrote a number of other Norfolk-based books including: "Henry Blogg of Cromer - The Greatest of the Lifeboatmen," "The Man Who Missed The Massacre," "The Loss of the English Trader: RNLI Coxswain Henry Blogg's Toughest Mission," "SOS - The Story of the Lifeboat Service," and "The Spreading Flame: The Coming of Methodism to Norfolk 1751-1811." "The Man Who Missed the Massacre" tells the story of Ernest Eric "Strips" Farrow who missed the massacre at Le Paradis because of volunteering to blow up a bridge in the area. Strips is featured on this web site. Cyril Jolly died in 1994.